In EU Kids kindergarten we want to prepare the children for achieving success and dealing with problems.  We want to arouse, in every child, interest in the world and people, perceptiveness and sensitivity. It is our desire to bring up children with vivid creative imagination, open to ideas and inspirations coming from other people; children who are able to express spontaneously their feelings and thoughts, who are ready to search for new, better and original solutions. During more than 24 years of its business activity, English Unlimited school of foreign languages has educated a great number of children, teenagers and adults. In September 2009 we included in our educational activity the youngest ones, i.e. the children of pre-school age. By opening an English-language kindergarten we wish to use our extensive experience in conducting language courses, as well as effective methods for teaching foreign languages, which we have elaborated over the years. Children in our kindergarten will speak in a foreign language from the very beginning, learning it in a natural way through play, games, songs and talking with teachers. We offer a full-day educational programme in the English language. Apart from learning the language, the aim of our kindergarten is to prepare the children for the next stages of their education, as well as to show them the beauty variety and multiculturalism of the world. Our young polyglots and intrepid explorers will be learning about different countries their traditions, customs, music, dances, art and games played by their peers. We will be developing the talents of young artists and painters, inspiring their creativity, discovering with them the enchanted world of fairy tales and children’s imagination, as well as creating positive attitude to the acquired knowledge. 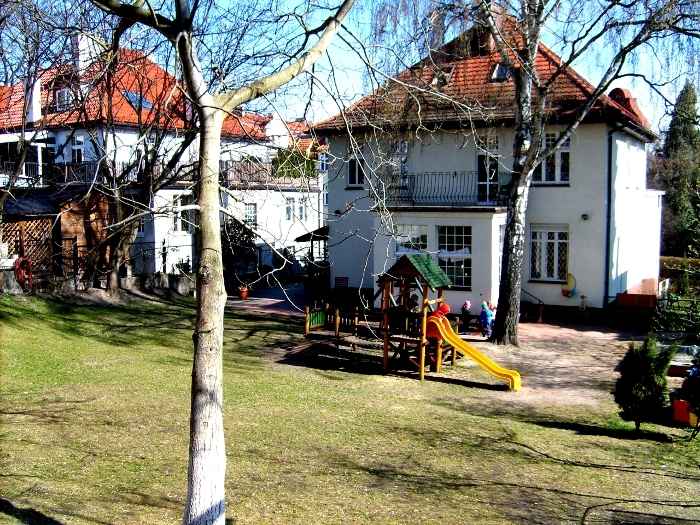 Our kindergarten is located in Sopot, in a villa surrounded by a big garden, located in a quiet neighbourhood near the forest. It is a small, intimate pre-school club – 15-25 children aged 2.5 – 5 years. 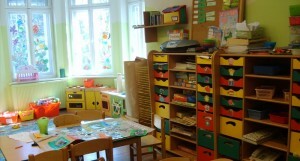 The kindergarten is open from 7:30 to 17:30. We develop the talents of young artists and painters, inspire their creativity, discover with them the enchanted world of fairy tales and children’s imagination. Language and Art projects of English Unlimited have received a prestigious award “European Language Label”, granted by the European Commission and the Ministry of Education.